The construction industry is a tough industry. It takes a huge amount of effort to finish a construction project. If you ask us, one part of that effort should go to the online presentation of your company. 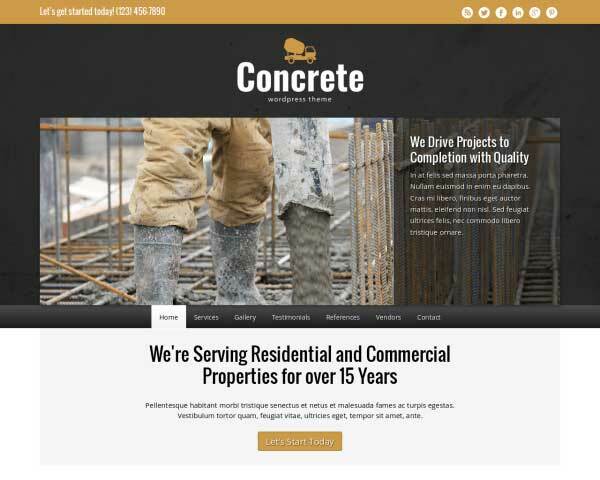 The Construction Business WordPress theme has been passionately crafted to create this quality online presentation. And we hope it will take any construction company to the next level; at least when the online part is concerned. 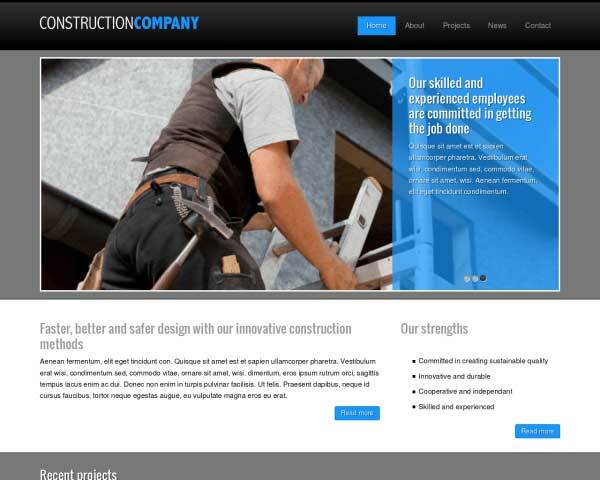 The Construction Business WordPress theme is a sophisticated mobile WP theme for the construction industry. It features a clear homepage structure with your main services, call to action and dynamic latest project overview. Its goal oriented nature is reflected in the fact that it incorporates an extendable offer request form: a great way to get high quality leads. To further complement the fact that the theme was built for the construction industry, we've added testimonials, a separate project overview page, a news and contact section and a place to add your own trust icons. Its turnkey installation makes sure the complete setup is there upon activating the theme. Our front end editor ensures you won't be needing any coding skills and our solid support will get you to a level where a site based on the Construction Business WordPress theme will actually give another financial boost to your bottom online. 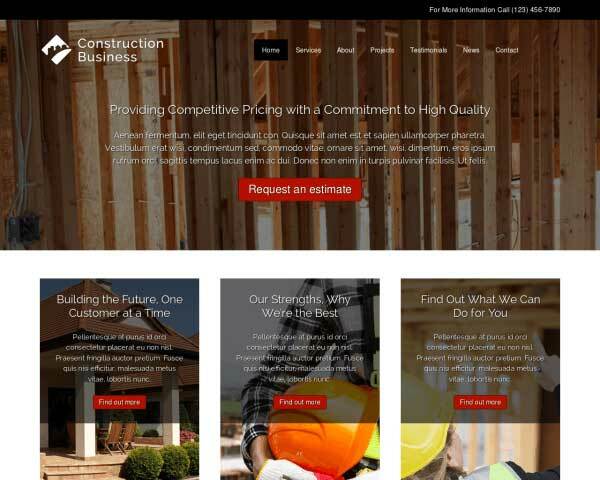 Before creating the Construction Business WordPress Theme, we researched to find out the specific business needs of contractors in order to offer you the best match for your business. 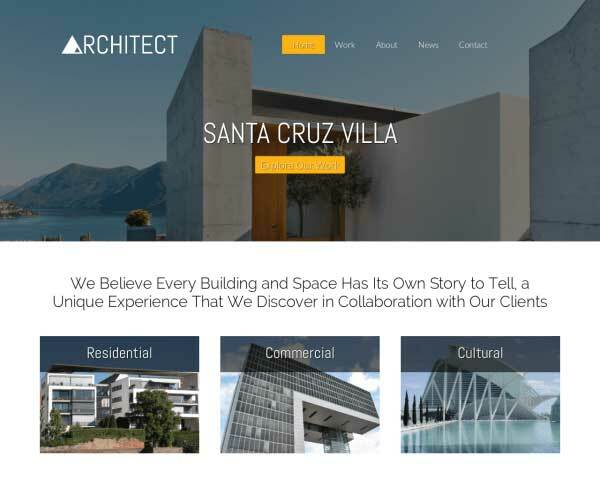 The Construction Business WordPress Theme offers placeholders to show engaging visual stimuli in combination with textual call-to-actions. Think about the biggest problems of your target audience and offer your solutions. 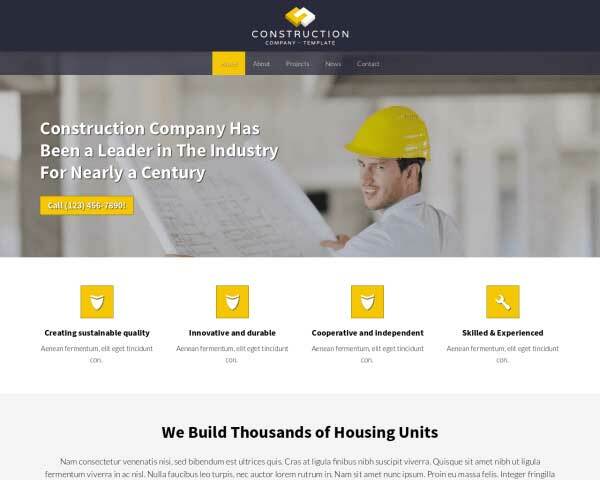 This premium Construction Business WordPress Theme features a neat, clean design that can handle all the information and features you'll need in a professional website. 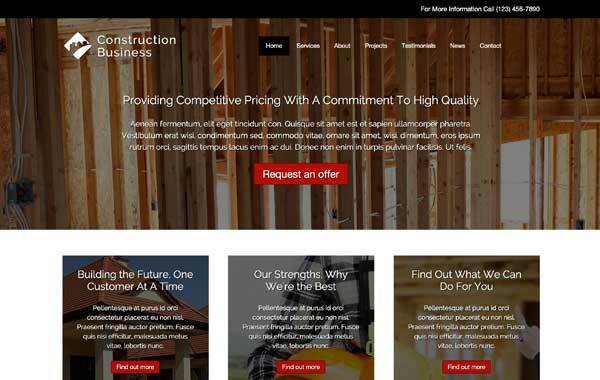 Display and attractive overview of your project portfolio with the Construction Business WordPress Theme. Each project can be described in detail along with an elegant lightbox photo gallery. 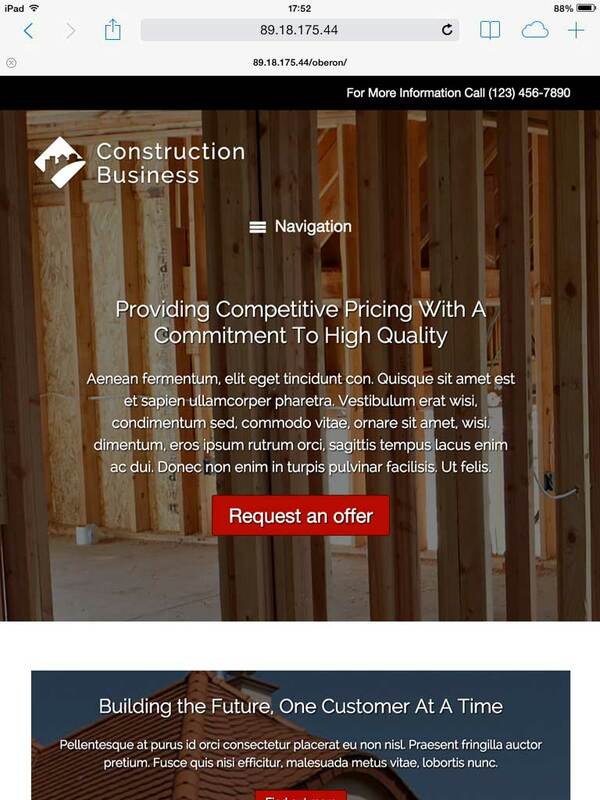 A full page for each of your services is already set up and ready for your text and other content when you build your website with the Construction Business WordPress Theme. 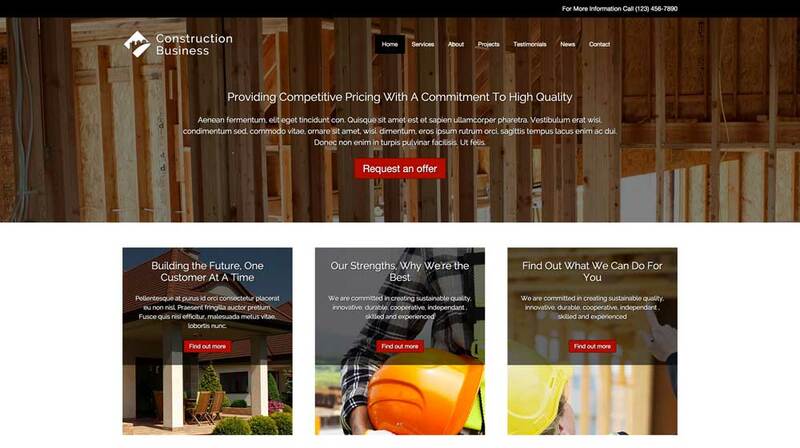 Present visitors with a quick overview of your services on the homepage of the Construction Business WordPress Theme, allowing them to navigate directly to that page with one click. 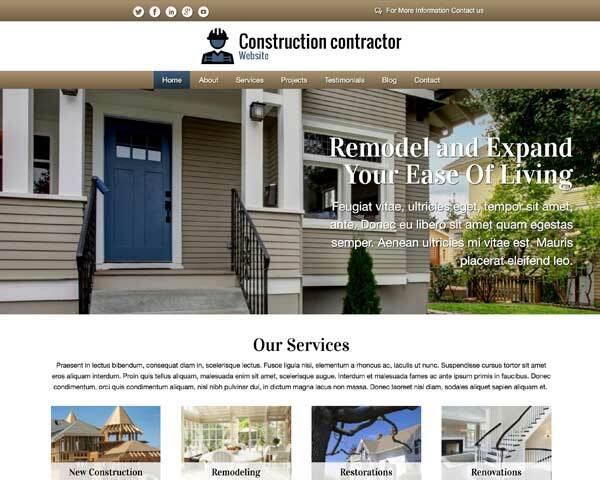 Convince the visitors of your website of the quality of the services that your construction business has to offer. The template assists you by offering widgets to display a set of star reviews from existing customers. A great sign of trust are the various associations or brands you've tied your construction business to. With this theme you have an easy way to shown them on your site. 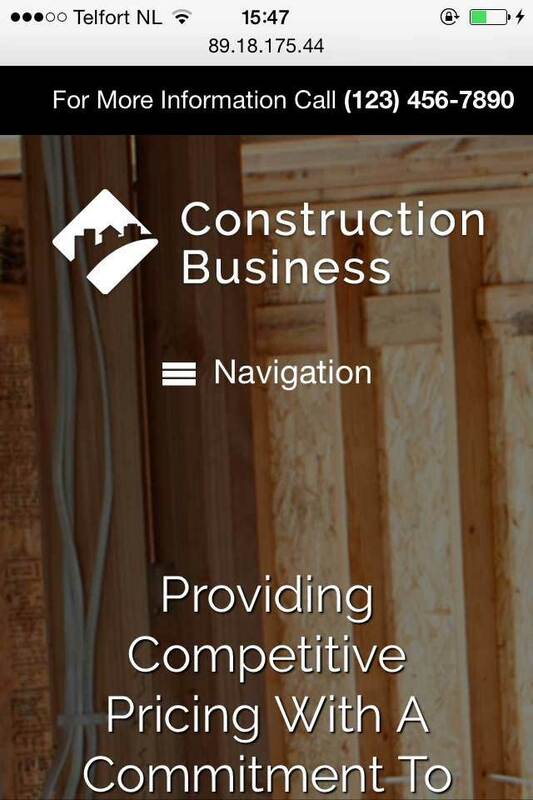 The construction industry has taken some heavy hits the last couple of years. Instead of shoring up defences you need to be out there. Being out there in terms of having a great online presence means that you adhere to the latest web design trends. Those trends say that your website can be viewed on a myriad of devices, all with different screen resolutions. 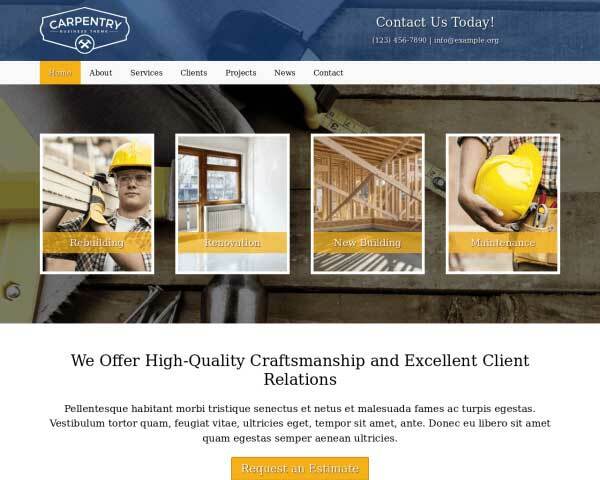 The way to showcase your craftsmanship, trustworthiness and professionalism is called "responsive design". 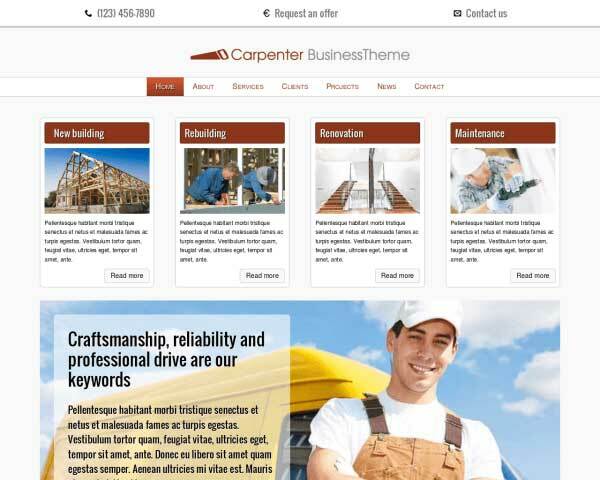 And it's something that is completely automated with the fully responsive Construction Business WordPress theme.